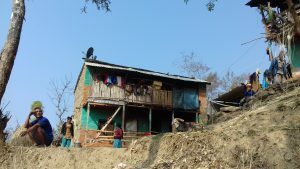 Gorkha Development Scheme (GDS) is a small UK based charity established over 30 years ago by founder Joy Leighton. 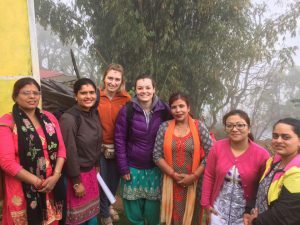 The aim of the charity has always been to work with the Gorkha community to help the poorest people and this was seen all to well following the devastating earthquakes which hit the region in 2015. NEW – Donations can now be made via this link at Wonderful.org and ALL of your donation foes direct to GDS with NO charges – isn’t that wonderful! Remember, ALL money raised goes directly to fund our projects with no expenses taken out. How to Help – We would be thrilled to receive any donations via BACS payment or cheque. Please see our payment details – and dont forget to complete GIFT AID which can add an additional 25% to you donation. Follow us on Facebook – like our page and share with your friends who may be interested. 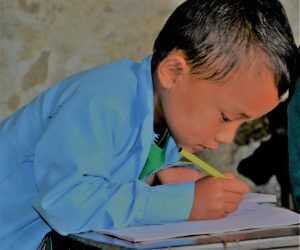 These are some of the 50 children sponsored in 2017-2018. 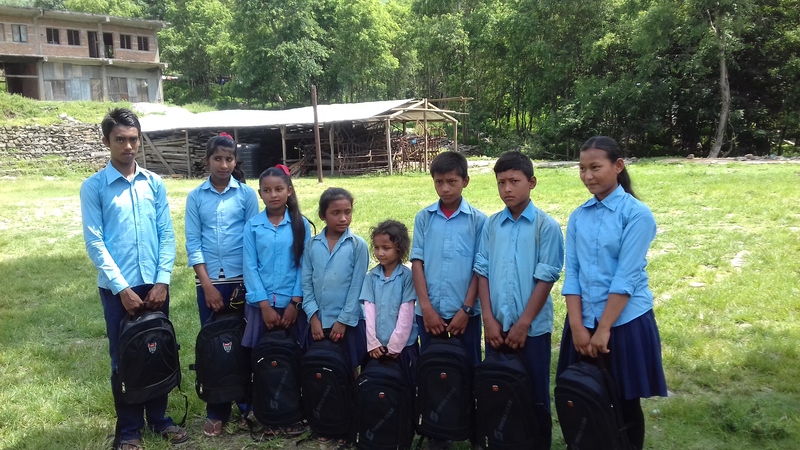 10 children at this school all lost their homes in the 2015 earthquake as well as their school being completely destroyed. 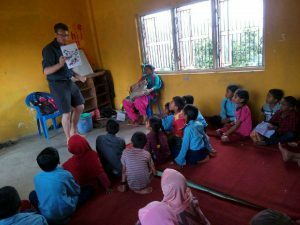 Have you ever considered volunteering overseas? 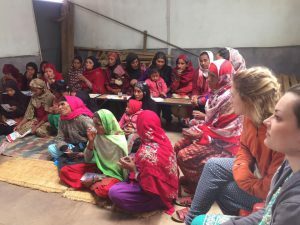 We can provide guidance and contacts to enable a very special volunteering experience living with a local family and being involved in local projects. Medical electives and Occupational Therapy, and other health placements are possible as well as assisting with teaching in local schools. All sorts of other skills can be shared so just contact us to find out more. 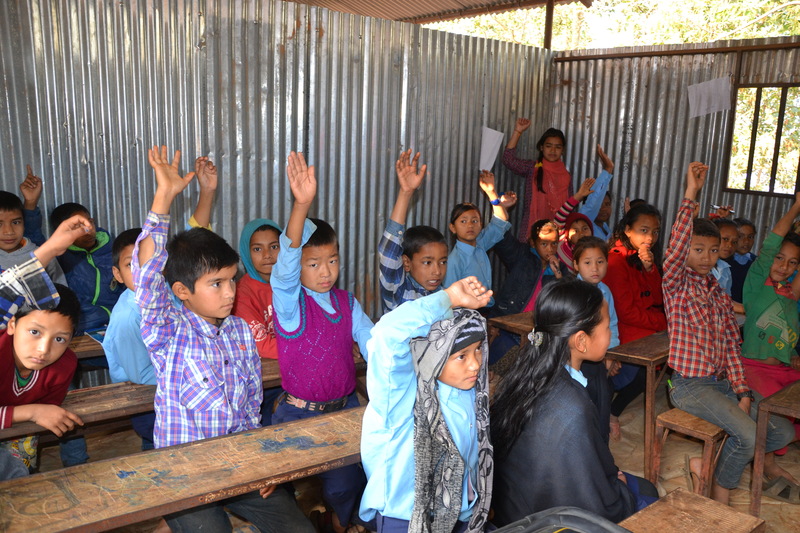 Helping children understand principles of basic hygiene through our hygiene projects in local school. Volunteers have much to offer. 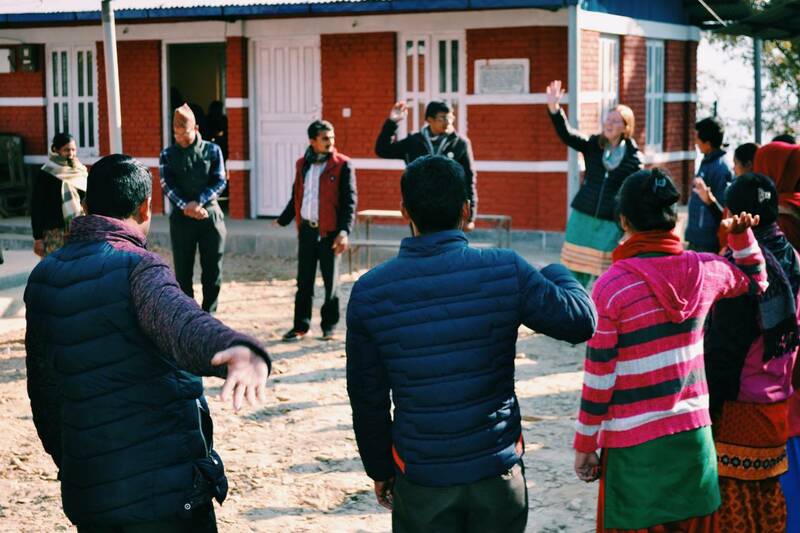 Volunteer involved in training teachers in rural schools to enhance skills and ‘fun’ teaching for the children Learning the hokey kokey! One of GDS funded programmes is to present education to rural women. 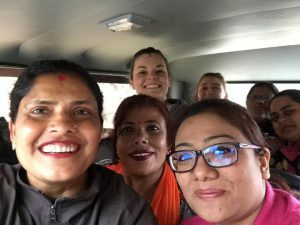 The Gorkha Womens Association organised this programme and 7 women and a driver squashed into a 5 seater jeep to head to the rural area of Asrang, Gorkha! 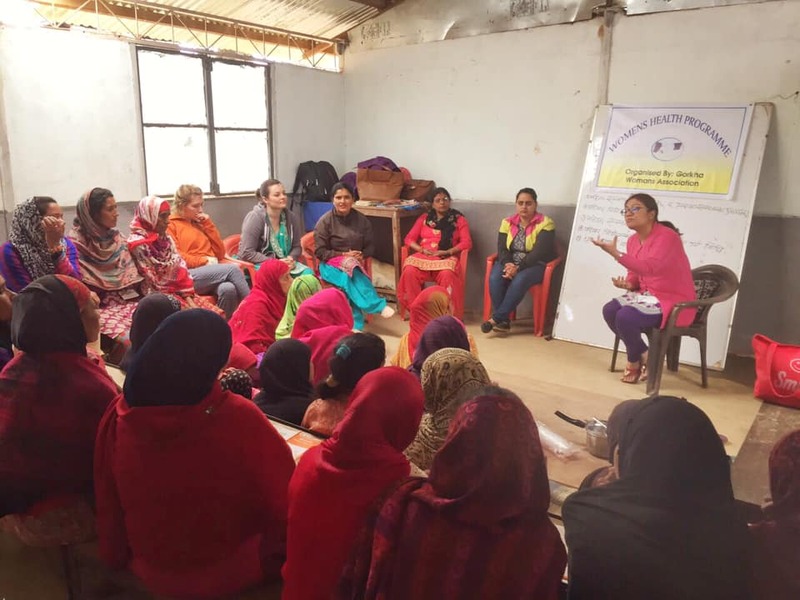 Here the women held a programme on women’s health for the Muslim community in the village, discussing many female health problems and family planning. Much needed in this community with some women having up to 17 children! A really positive day, with the women openly questioning and gaining persoanla advice thanks to Dr Suchika and her assistant Sabita for providing the experitse.